I was three days (yes days!) old when my parents took me into a sauna. It was early spring, and we were visiting our summer cottage near Kangasala in the Häme province of Finland. By all accounts I loved the heat and gurgled away on my mother’s lap. I’ve been an avid sauna-goer ever since, and I've even managed to covert the Englishman, and the Daughter-in-law into the practise. Before the Big Move, when we lived in the sticks, one of our priced possessions was a sauna, but alas in London we have to do without. It's different in Finland, where most new flats come with saunas. 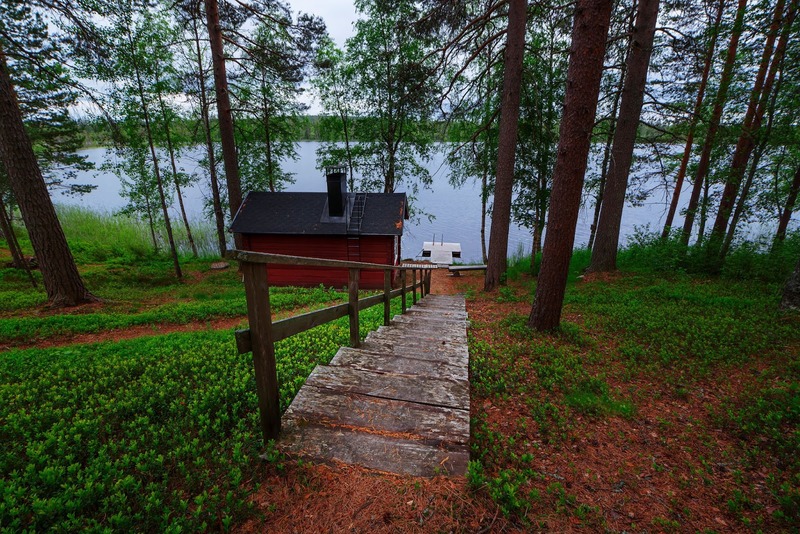 If you are lucky to own a summer cottage (many Finns do), there'll be a sauna there by a lake, or deep in a forest. There are reputedly some 3.3 million saunas in the country; that’s more than one sauna per two inhabitants. 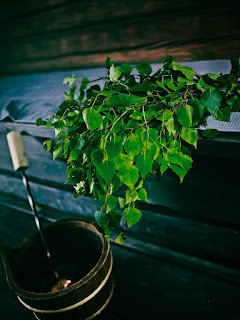 Historically the sauna first came into being as part of the main dwelling quarter; later it was where you cleaned yourself, where women gave birth, and the dead were washed before burial. As a result of this sauna culture, nakedness in Finland is more natural. However, contrary to popular misconception, it isn’t normal for women and men to mix in a sauna (unless they’re immediate family). It’s also now far more likely that business meetings take place on a golf course. Talking of which, some of the better public saunas I’ve visited in Finland have been in golf club changing rooms. In fact most hotels, sports halls and public facilities in Finland have a sauna. The Helsinki parliament building has a sauna, as do all the Finnish embassies and consulates around the world. Having a sauna is a tranquil process; it’s not an activity to be hurried. So, if a Finn asks you to have a sauna with him – fear not. He’s not trying to embarrass you. All he wants is to share something holy with you – so say yes. You might be surprised and become a convert like the Englishman! A version of this article will appear in the CoScan magazine later this year.